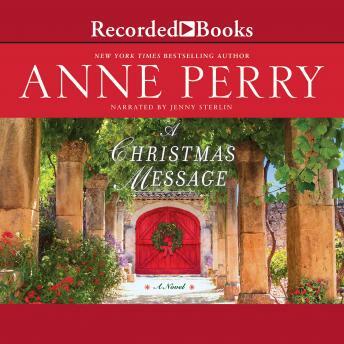 As suspenseful as it is heartwarming, set in Jerusalem, the latest Christmas novel from New York Times bestselling author Anne Perry is the perfect holiday treat. When Victor Narraway, Thomas Pitt's close friend and former boss, and his new wife, Lady Vespasia, travel to Jerusalem for a Christmas holiday, Vespasia cannot shake the feeling that they are being watched. Then, an old man leaves a mysterious envelope for Narraway-and is murdered soon after. But it is only when the couple is ambushed the following morning that they realize they are in grave danger. Armed only with the instructions from the message in the envelope, they immediately set out on a journey through the Holy Land.while their unknown enemy pursues them all the while.